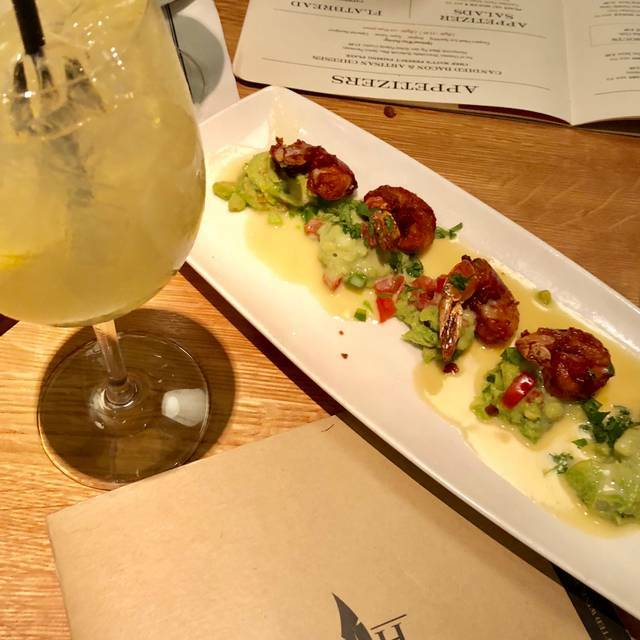 You must make reservations at least 5 minutes in advance of the time at Cooper's Hawk Winery & Restaurant - Coconut Creek. Great service, great food and great ambiance. The lemonade drink was very watered down. The kids did not enjoy it and they did not like it either. Best food in the area, great atmosphere and a very well priced lunch menu. Great food and wine. We were seated and served promptly. Food was great and the wine flights even better. Will be back! I love this place . I would always recommend a reservation. If you have one you usually you get a table right away. 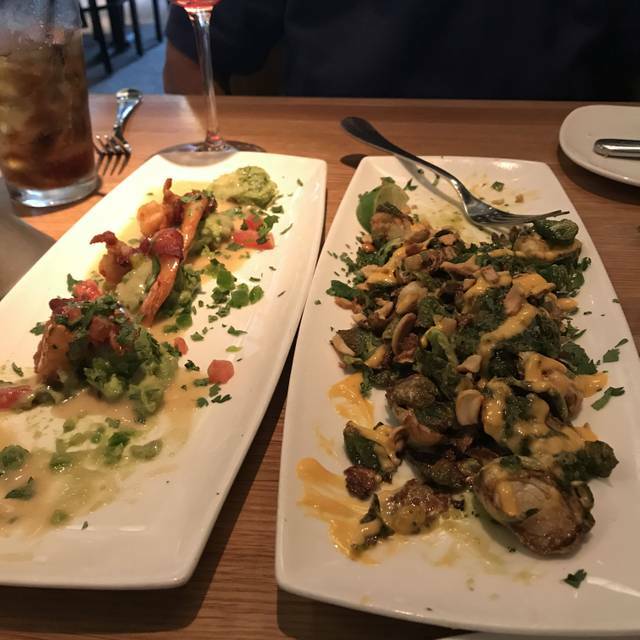 Food is great especially appetizers, I would recommend the Crispy Brussels Sprouts or the Coopers Hawk Calamari. Great atmosphere for a birthday or just to have some wine and appetizers with friends. We always enjoy CH - tastings are fun, and Darlene is the best! Food is good too, the overall experience is very positive. The membership program provides fun entertainment to us. The wine was superlative (pinot lux), the food a cut above, and the service was outstanding. Next time you visit Cooper's Hawk, ask to be served by Mercy. We come here quite often and found this last visit to be a bit disappointing. They changed the menu and plating of several items and they seem to be cutting corners on quality and quantity. We ordered lettuce wraps but sent them back as the chicken was not fresh; it seemed to be boiled pre-cooked chicken they they poured sauce over (very mushy and we ended up sending it back). The roasted root vegetables were gone from the short ribs dish and it was a small portion of potatoes with the ribs, not proportionate to the short ribs. Our waitress was awsome so that helped to make up for some of the shortfalls. I would try it one more time but may cancel my wine membership as I don't see visiting this restaurant as often in the future. Busy place staff could be friendlier the service is slow and double check your bill I was charged for a glass of wine that I never ordered and my birthday coupon was never applied the server first said it was. With reservation took Over two hours to dine with a party of four on a Thursday night. Waiting for a long time for water refill. Never asked if we wanted a second Martini. Amazing food...and amazing wine. Service was good too! Great place for a date night or a family dinner. Food is delicious and can't beat the wine too. Service was very slow. We waited over 10 minutes for a glass of wine, and an additional 20 minutes for apps. Three out of four of us ordered tuna dishes,only to learn that they were completely out of tuna(reservation was for 7pm). Entrees were another 40 minutes. We were Introducing our friends to an experience that we had enjoyed at another location in Naples. We were embarrassed. We have never been disappointed in the service or food. Always a wonderful experience. 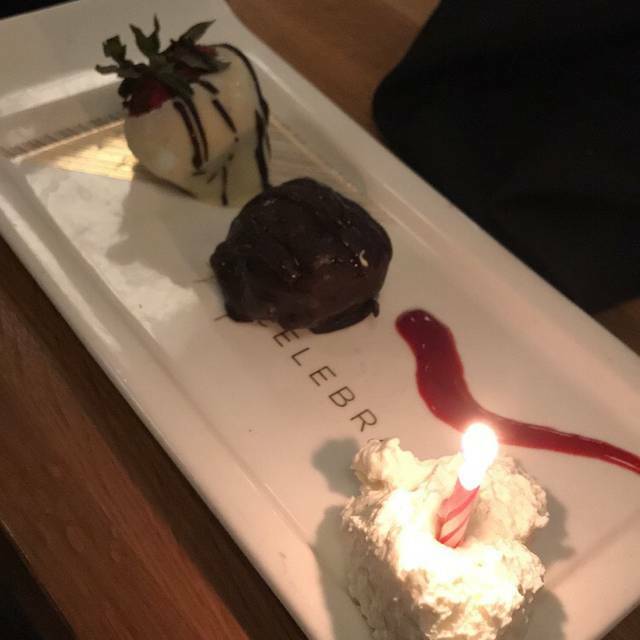 Coopers Hawk is my favorite restaurant, we've celebrated every Birthday, anniversary, or special occasion there since 2015. This location is always very busy, even on a Tuesday or Wednesday night. We had a party of 8 people, doing a wine tasting, in an already very full tasting room. Gabby was our tasting specialist and she was absolutely wonderful. She made sure everyone enjoyed the tasting (sometimes swapping out samples for every other person in the party), keeping track of where everyone was in the tasting (2 people arrived late and started at a different time). Her personality is delightful, even when another party doing the tasting next to us was being "difficult." We made a reservation for dinner prior to arrival, so once we were finished with our tasting we were seated right away. We really enjoyed our evening. Great food as always but this for a birthday dinner and it felt less special than usual. We joined up and came in for a birthday bottle and dinner. The wine was poured into a smaller container rather than the bigger to breath, and the extra items took extra asking and waiting for. The service is usually on point. Disappointing for a Tuesday early evening. Reservation was put in as a no show while we were waiting to purchase wines. Not the usual Great experience. THE SHORT RIB RISOTTO WITH TRUFFLE OIL IS OUTSTANDING! 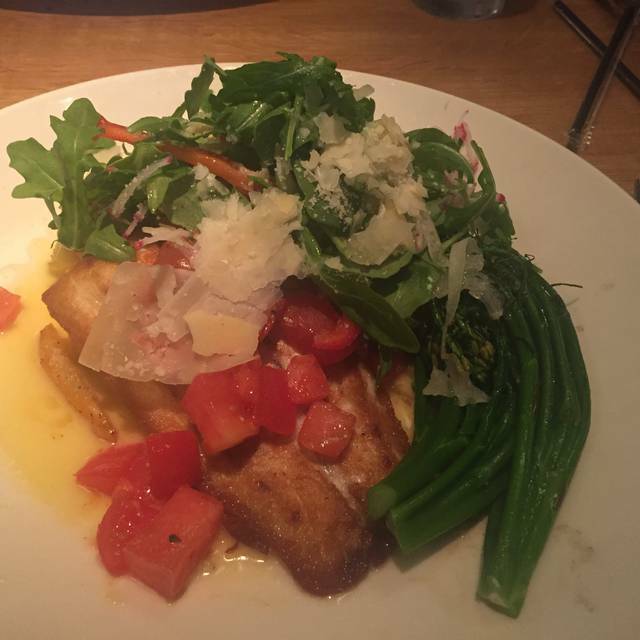 WE HAVE DINED AT COOPER'S HAWK FOUR TIMES IN THE LAST TWO WEEKS. OUR TASTE BUDS HAVE BEEN VERY HAPPY. 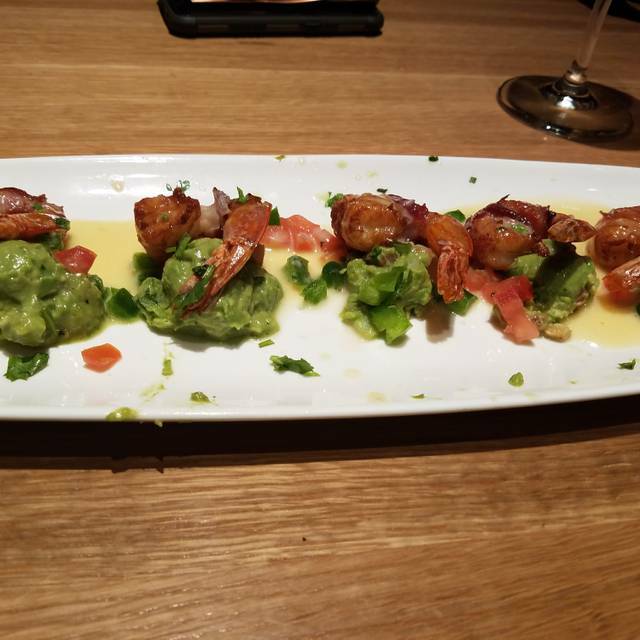 THE FOOD IS GREAT AND THE SERVICE HAS BEEN TERRIFIC. WE HIGHLY RECOMMEND THIS FINE RESTAURANT. We love this place! Good food, drinks, and ambiance. Our server Claude was exceptional, the food was fantastic, the wine was reasonably priced and I loved the wine aerator. The wine tasting experience was so fun and again the service (Anthony) was fantastic and he made it such an enjoyable time! My food was below par. The lobster and shrimp bisque arrived barely warm and when reheated, it had crunchy vegetables, small shrimp and no lobster. It was too thin to be a bisque. My salad had 99% iceberg lettuce and it wasn't the wedge where you would expect iceberg. Two of the booths near us had 2 little girls who sat up in the window, kicked the wall and talked with an outside voice. I am a member of the wine club and this is the first time I have experienced this. Our server was fine and of course, she couldn't do anything about the girls' behavior, but I'm sure she wished she could. My husban's soup of the day was fabulous as expected. I'm hoping our next visit will be much better! Food and atmosphere always great! 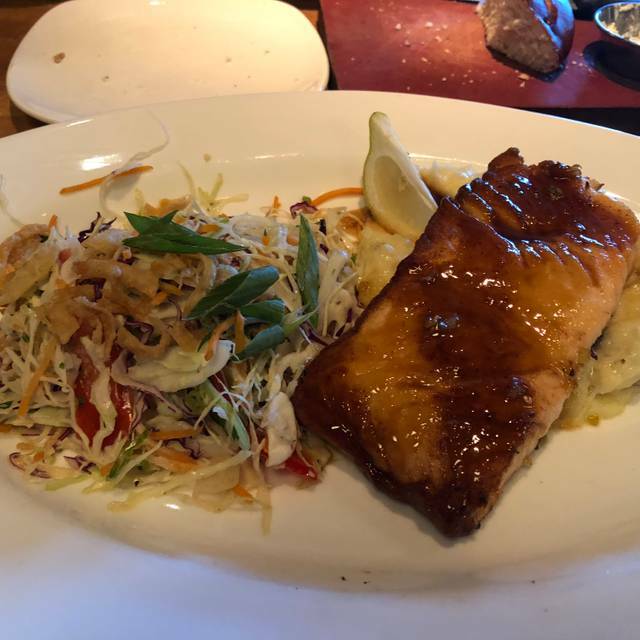 As usual Coopers Hawk did a great job on the food, Miranda was our server and was excellent and made our dinner go smoothly. Overall it is hard to beat the food and the wine and it's nice to have a place like Cooper's Hawk close to home. It was our first time here and other than waiting past our initial reservation time our experience was great. Our Server Rob was wonderful. Full of suggestions and information about the menu and wine. We will be back for sure! I frequent Coppers Hawk and love everything about this restaurant/bar! We celebrated my daughters birthday last Friday night and had the best time with family and friends, thank you!! Our servers were the BEST!! We LOVE Erika! She is always very professional and accommodating. 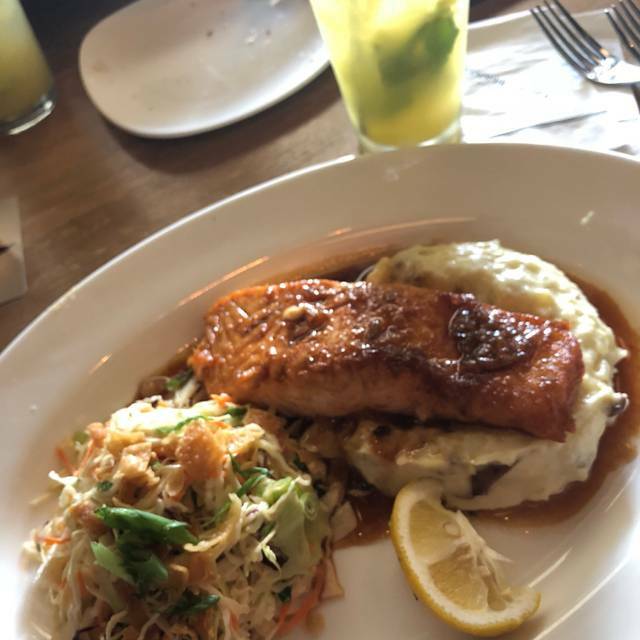 Every chance we get we highly recommend Cooper Hawk for a fun time out! Thanks for being close to home in Coconut Creek!! The food could have been prepared better with less oil on the veggies. My New Favorite Restaurant!! I have been a wine club member since my first visit. I don't drink but my friends do, whenever I invite my friends and family out this is where we go. If it's a special occasion that person get one of my bottles. That works out for everyone. Besides perks like that the food is awesome. Every one I bring I introduce them to their fried calamari. 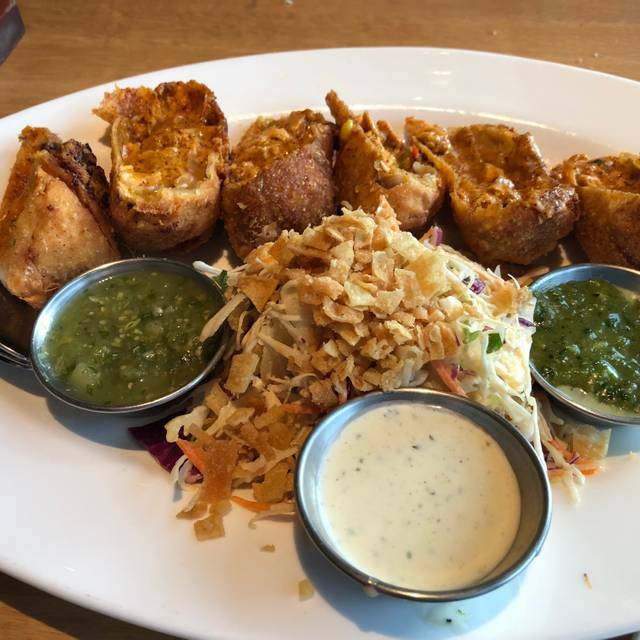 The best appetizer ever. I'll end the way I started My New Favorite Restaurant. The food and the atmosphere at Cooper's Hawk is fantastic. I have had dinner here, and though worth the value, is a little pricey. However, their Happy Hour menu and prices are absolutely terrific. The food is excellently prepared, there is a good variety of choices, and the portions are generous. I love this place. 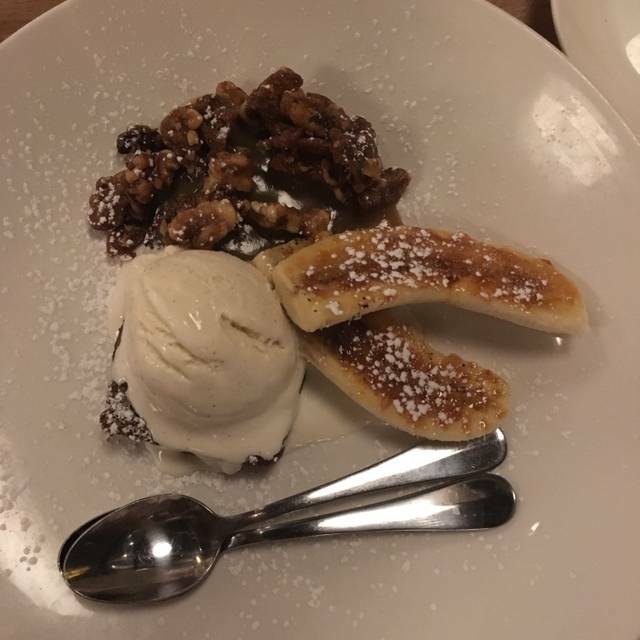 The overall ambiance was very nice for a good night out with your friends but service was very poor. I had a reservation yet I had to wait 30 minutes for a table. Then we continuously had to ask our waiter for things instead of being brought them. Food was okay, both my friends returned or changed their meals. Salad was not worth the price. I suggest only going to this place for drinks, and shared appetizers and dessert.